A $25 billion foreclosure-abuse settlement between the federal government, states and the country's largest mortgage lenders will offer only modest relief to most struggling homeowners, local housing experts said Thursday. Local homeowner consumer protection groups, foreclosure attorneys and bankers also predict there won't be deluge of bank foreclosures after the agreement released mortgage lenders from civil claims related to robo-signing and other foreclosure abuses. They say Florida's share of the agreement, about $8.4 billion, isn't nearly enough to help change the course of the state's struggling housing market or offer much help to homeowners who are underwater with their mortgages or who were wrongly foreclosed upon. The settlement just isn't enough, they argue, to help a state like Florida where 2 million homes, nearly half of all residential properties, are underwater and worth less than what their owners agreed to pay for them. Florida Attorney General Pam Bondi announced Thursday that of the $8.4 billion, $7.6 billion will go toward helping homeowners make loan modifications, including principal reductions and other relief. The settlement agreement still allows for criminal prosecution of those who improperly processed or signed foreclosure documents. It also still allows individuals to sue mortgage lenders. "For anyone in Florida, it's not going to help. It's an irrelevancy," said Chuck Mineo, a Pennsylvania lawyer, Florida Realtor and developer and consultant for Consumer Advocate Law Firm. The settlement money is enough to knock off maybe $20,000 from some people's mortgages, "but the people I work with are well underwater and they're throwing up their hands," said Mineo, who once bought and sold property in Marion County. "No one is going to feel that $7.6 billion." "And banks don't trust people ... to make their mortgage payments (even if they are reduced) and they don't have enough knowledge about what they're doing that they can be confident that they're making the right call," Mineo said. "And they probably still don't have enough personnel (to refinance and approve short sales quickly)." Of the $8.4 billion, $170 million will be paid to those who were improperly foreclosed upon. That works out to an estimated $2,000 per homeowner. Mineo said that also will be a problem because "I don't know how they're going to identify people (who were) improperly foreclosed on." Instead, Mineo said each case should be evaluated on its own merits and banks encouraged through tax incentives to refinance and approve short sales. Jan Bergemann, head of the nonprofit homeowners consumer group Cyber Citizens for Justice, said the settlement will only prolong problems for the housing market, especially in places like Marion County. Marion County saw more than 400 additional homes fall into foreclosure each month during the past year, according to RealtyTrac. Bergemann said Florida should have continued investigating fraudulent foreclosures, aggressively pursued criminal charges and settled financially on its own rather going along with the federal government and other states. Oklahoma is the only state that did not join in the agreement and will not be getting any of the total $25 billion. "The real issue is that if you or I would have committed fraud on the court (as with the case of robo-signing) you and I would be in jail," Bergemann said. "They got away with it, and they're laughing." Bergemann also said that while banks have to pay, the settlement money really comes from customers, and costs will eventually be borne by them. First Avenue National Bank president and CEO John Hunt said people should not expect an increase of foreclosures now that the settlement has been signed. Hunt said rather than take significant losses on their books, large banks will try to approve short sales whenever possible and refinance. But there also is a growing number of businesses who now offer to buy troubled mortgages at discount prices, Hunt said. Large mortgage lenders have the staff to process short sales and refinance, and they will in most cases utilize them, Hunt said. Mineo said that, although banks held up some foreclosures during the past year as they waited to learn the outcome of the settlement, he also doesn't predict an increase in foreclosures. "Banks aren't solving these foreclosures. They don't want to take them over," Mineo said. "They're not prepared to get them ready for sale." There were 2.7 million U.S. foreclosures in 2011. There are currently 3.5 million seriously delinquent mortgages that help to make up the "shadow" inventory of foreclosed and delinquent homes. Bergemann said that when banks take over a property, they now have to contend with Florida counties cracking down on them to maintain their foreclosed properties and condominium associations forcing banks to pay their condo fees. Meanwhile, the banks also have to cough up money for insurance and taxes, otherwise paid by the homes' previous owners. 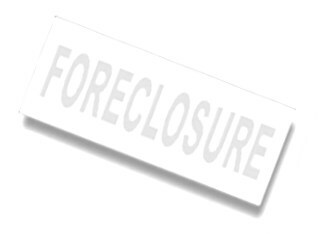 "What does all that (foreclosures) do in reality?" Bergemann asked. "It doesn't solve the problem."